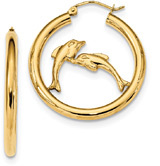 If you love the idea of adorable earrings, especially hoop earrings, but don't want something too large that will draw too much attention, these small dolphin hoop earrings in 14K gold from Apples of Gold Jewelry are bound to become a favorite pair! The smaller size, which measures 1/2 inch, makes these more ideal for every day wear, especially for those who aren't into wearing large hoop earrings. 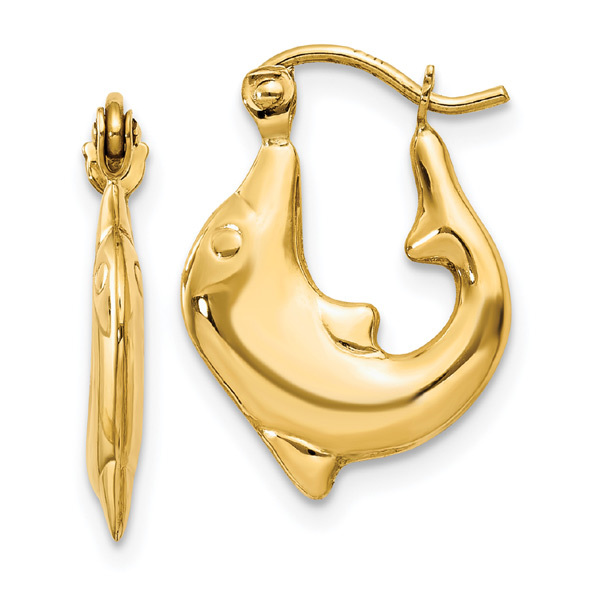 The 14K yellow gold construction looks lovely with the shape, which is that of a small dolphin, curved up to make a hoop shaped earring. The secure wire and clutch closures are perfect for securing the earring during wear. 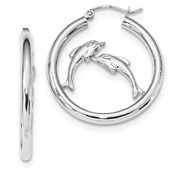 We guarantee our Small Dolphin Hoop Earrings in 14K Gold to be high quality, authentic jewelry, as described above.